As an Internet user, the most important and must-have thing is an Email Address. Because email is very useful for the process of registering or also used to send and receive messages. With email you can get Notifications or also can be used for Verification when you do or register on various sites. Email addresses are also very useful for seeing or knowing every buy-sell transaction. According to Next-Siooon the most important thing in using the Internet is the ownership of e-mail to support everything. In making Social Media like Facebook, Twitter, Instagram, Email is required. Or things related to a business such as making a Paypal account, Amazon, Ebay, Email required when registering and verifying account ownership. You can also get various promos via email. - Spam Filter = You will be protected from a variety of Spam or Fraud Messages, thus preventing you from getting attractive promotions or offers, but all of them are scams. - Reliability = Sending messages in the form of text or files such as pictures or videos at full speed and immediately received quickly. Sending Electronic Mail (Email) is very fast and reliable, especially in business matters. - Integration = This e-mail feature is to help you manage incoming and outgoing e-mails and connect with other e-mail users who have sent messages or received messages. - Security = Email user accounts are always safe and there is never even a case of loss of messages or hacked accounts. That shows if Email provides very tight and strong security. - Flexible = If you send a large number of physical letters, it will certainly accumulate, resulting in a lot of garbage. Unlike email that can send and receive letters without restrictions, it gives users full access to sending and receiving messages. - Multifunction = Email is often used also to send various files such as Documents, Images, Videos, Music with file attachments when sending letters. It functions like Aplikais Chat but is safer and files can be stored longer. After knowing the benefits and functions of email, now is the time for you to start to Register to make an Email. There are many sites that offer free e-mail, here are some lists of sites that provide free e-mail services with various complete features. Hopefully it can be a reference for those of you who want to create an email so they can choose Email according to your needs. The most recommended Next Siooon is Gmail, one of Google's best products. This email is most widely used because of its complete features and easy way to use it. In 2016 there were billions of people using Gmail Email. Even users continue to grow even one user can have more than one email. Gmail has a good reputation and has many advanced features such as the Undo Send and Email Forwarding features. Because this service is owned by a search engine giant, Google, of course, includes a powerful search utility and filter system. Google also adds strengthened security measures such as two-step verification and a strong spam filter to reduce the possibility of your account being hacked or you receive junk messages. Finally, it is fully integrated with popular productivity tools including Google Calendar and Google Docs. If you are still early in using e-mail, you should choose Gmail because it is very easy to use for beginners. How to use Gmail email is also very easy in sending and receiving messages. Yahoo! Become one of Google's competitors, including in the Email Service. Yahoo Mail provides a very complete feature, besides that you can get complete and up-to-date World Information News (Update). You can register for Yahoo Mail for free and it's easy to just fill in your personal data, so many people have used Yahoo Mail as a personal email that is used to send and receive messages. Another feature is that Yahoo can filter malicious messages such as Scams or Fraud, Spam messages will be deleted within 90 days so that the number of messages will not accumulate. Next is the Email Service from Microsoft, Outlook is an email service that integrates with Windows and Office to provide convenience in using Microsoft Products. This popular email package has the support and resources of the Microsoft technology giant. Outlook.com offers advanced features such as Clutter, which searches for emails that may be of lower priority and separates them from your inbox. Other advanced features of Outlook.com are the ability to Undelete, or restore emails after you accidentally discard messages. Outlook integrates well with popular software including other Microsoft products. Outlook.com also uses two-step verification, which means you must provide two forms of identification to log in. This makes it difficult for hackers to access your account. If you use Outlook.com and want to better manage your inbox. It aims to keep your account safe and not easily hacked by others. In 1980 this company became known as America Online. Purchased by Verizon in 2015. 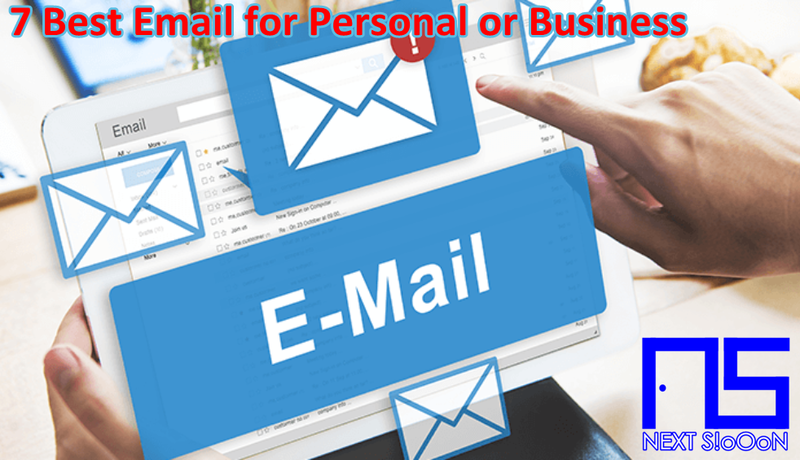 The email application component of this organization remains popular and a powerful service that has gained a place in the list of the best email services. AOL Mail's key features include sophisticated spam filters and virus protection. Also known for the ability to personalize your email address with the MyAddress feature that allows you to choose your own email domain name. One of the most interesting features of AOL Mail is unlimited storage space for its users. If your business keeps a lot of messages, you don't need to worry about running out of space. You can use AOL Mail to send and receive messages quickly and easily. Get complete features for free at no cost. Email service that offers free unlimited email storage. They are known as the popular mobile interface. Also, can use to get e-mail from other e-mail services. There is a spam protection feature that helps keep your inbox free of spam and also a virus protection feature. Use GMX Organizer to manage your promises. An interesting feature that allows you to determine how long your e-mail messages are stored. For example, if you want each message in the trash folder to be stored for only two days, specify two days as the storage time for messages in that folder. GMX Mail was originally used for Business Professionals, but now can be used in General. Yandex operates the largest search engine in Russia. Their free email service provider includes spam and virus protection. They also offer unlimited storage - starting with a 10 GB email box and adding to storage every time you have less than 200 MB left over. Make your e-mail easier by using labels, private keys, and hot keys. Also, see e-mail attachments such as media files and images in messages. One interesting feature is the integrated translator for incoming and outgoing messages. Yandex Email also includes service assignments that allow you to create assignments and task lists. You might not realize it, if you have made an Apple ID then you can also claim an iCloud email address to associate with your Apple ID. ICloud e-mail is an e-mail option that allows if you frequently access e-mail packages from your Apple mobile device. Apple employs several security features to ensure that your iCloud account will not be interrupted including two-step verification or two-factor authentication. There are also spam filters. This is very useful for you users of Apple Products. ICloud e-mail includes several advanced e-mail features including an auto responder and some basic filters. These are some of the large suites of Internet-based tools that include contact lists, calendars, and a utility for keeping notes and reminders. Disadvantages of iCloud are only good for users of Apple Products, if you are an Android user you should use Gmail or Yahoo Email. Even this email is not recommended for the public. Those are some sites that provide Free Email for Personal or Business, hopefully useful. Thank you for visiting the Next Siooon Website. Keyword: Free Email Service, Free Email Service List, Free Email Service Collection, Site for Free Email Service List, Website Collection for Private and Business Free Email Services, List of Sites that provide Free Email Services for Personal and Business, 7 Free Email Services, 7 Free Email Service Sites, 7 Sites that provide Free Email Services.